I’m Suzanne Gates, and I write historical mysteries. 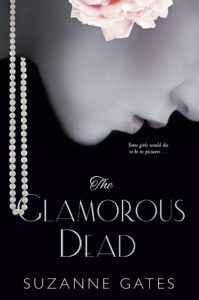 My first book, The Glamorous Dead, is available from Kensington Books. Come on in and click around! You’ll find out about The Glamorous Dead (set in Hollywood, 1940) and about my current writing project, with the working title of Gangster Island (set in downtown Los Angeles, 1934). I have to get back to writing, but don’t hurry your visit! This is my online home, and I love visitors. Draw up an imaginary chair and stay a while.